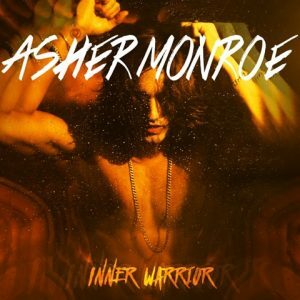 An Interview With Musician ASHER MONROE About His Newest Album ‘Inner Warrior,’ Biggest Inspirations and More! Multi-talented singer-songwriter and producer Asher Monroe recently released the lyric video for his song “Hurricane” – PRESS HERE to watch. The video, which premiered via Substream (PRESS HERE) features illustrations that draw a clear picture of Asher’s raw and candid lyrics, backed by a track with enticing vocals and an undeniable beat. The song is one of 13 found on Asher’s debut solo album, Inner Warrior. Inner Warrior is Asher’s first solo project that is all his own vision. Fans may remember Asher as the lead singer of the pop R&B boy band V Factory, who released their first Top 40 single “Love Struck” in 2009. Propelling forward into his solo career with multiple subsequent single releases and a national co-headlining tour, Asher officially signed to independent music label D Empire Entertainment, owned by global activist and entrepreneur Diana Jenkins. That same year, he was named one of MTV’s Top Ten Artists, alongside Frank Ocean, Lana Del Rey, Avicii, and more. He then graced the sponsored cover of Billboard, and released singles “Memory feat. Chris Brown” (PRESS HERE), “Hush Hush” (PRESS HERE), “Here With You” (PRESS HERE), the latter produced by OneRepublic front man Ryan Tedder. Asher has also starred in multiple prime time TV and film roles including Parenthood on NBC, the MGM remake of Fame, and The Mentalist on CBS, as well as extensive runs of national Broadway tours including Beauty and The Beast, The Sound of Music, Oliver!, and The Prince and the Pauper. This year, I wanted to finish everything and tie up all loose ends. I was getting in the habit of starting new projects but not completely finishing them, so finishing the album was my major priority. It wasn’t easy but it was worth the wait. To be honest, my day is usually pretty hectic when I wake up. I have so many animals running around, and lots of calls to make (I work a lot from my phone or computer.) Currently, I have a small Pomeranian chasing a small monkey around in my room haha. I don’t listen to music in the morning unless I’m driving to the gym, but I usually play music at the end of the night on my record machine. I might play an old Stevie Wonder, Otis Redding or Michael Jackson song. My earliest musical memory is playing piano at 5 years old, and constantly whistling around the house. I can whistle a lot of different ways. When I was young, people would always say I sounded like a bird singing. Of course, this was a way long time ago before I knew I could sing! I also had an old record machine in my room. I had 3 songs – I definitely remember one of them was “Bring Back That Loving Feeling” by Righteous Brothers. If I wasn’t a musician, I might be designing homes, studying to be an architect, a money manager, or an actor. I grew up in a small town in Virginia, about an hour outside of Washington D.C. Living on an almost two-acre suburban home allowed me to be young, wild, and free. I loved playing outside, I had a wild imagination, and I lived a pretty normal life. Even though my parents were going through a divorce, they hid it well from me. I wasn’t around or can’t remember any real drama so life was good! Having a good foundation has really helped my adulthood. How do you think that you have continued to grow as an artist year after year and after your time with V Factory? What has remained the same about you and your music? Every year there has been lots of growth. I started as a kid on Broadway, then sang in movies, then got signed to a major label, then started my own label and put out an album that I wrote and produced. I really feel like every day I’m learning more about the industry and honing in my craft on my musical abilities. The one thing that has not changed in all these years is my love for singing . Let’s talk about your recently released album, “Inner Warrior.” What was it like putting this collection together? Did anything surprise you about the whole process? Can you describe what it was like working on something that was 100% all you and your work alone? Putting my album Inner Warrior together wasn’t easy. It’s a collection of the last few years of some of my favorite tunes that were living in my computer (unfinished) that the world never got to hear. I have many more where that came from! But it was a huge start to have all 13 songs sound cohesive and like they were made to sound together. The heartbeat of each song was there but it’s that finishing layer that took extra work. I’ll admit, it was a lot of fun, but there were many stages and processes to get it to sound how it is on the final record. It’s very rewarding being part of every stage. Through the writing and re-writing, to the production phases, all the way to mixing and mastering phase, I had to be a part of every stage if I was going to put out a full length album. What are some of your favorite songs on “Inner Warrior”? Which ones do you find took the longest to come together for you? Man, that’s a tough question! Some of my favorite songs on the album would have to be ‘Hurricane,” “Inner Warrior,” “Right Away,” “Sweet September,” and “Sail On.” Each song has a different story. For instance, “Sail On” was written in LA, but finished all the way in Bosnia, and then back to LA for final mixing. I would travel all around the world to find sounds or get inspiration. Some songs were written in a couple days, other songs were still missing a bridge or 2nd verse years later. Every song went on its own journey which I think makes the story at the end of the day. I understand that you have done a bunch of acting in your life so I am curious how you think the two careers blend well with each other? Do you have a favorite when it comes to acting and singing? I love acting and singing. but singing is what I feel I was born to do. Acting is a creative outlet that I have been privileged to do. They both are lots of fun but very different. I prefer the freedom of music. It allows me to be anything I want to be. There are no boundaries in music. You can take it as far as your heart is willing to take it. The rest of the summer is looking very busy. I have a few shows lined up in different parts of the country. I have an LA show coming up and new Your Spot soon as well. I’m looking to also put together a tour alongside some up and coming talented artists. Being a musician is a blessing that I can only thank God above for giving me the talents I was born with. Of course, we all train and go to school for most things in life but some things are God given. I want to use my abilities to help inspire the world, put a smile on someone’s face, help people channel emotions and take them along for the journey. I want to inspire others to follow their dreams and to stop doubting themselves. Fear and doubt are the two worst attributes that we can have in life. You don’t want to live life with the “would have, could have, should have” attitude. Fight for what you believe in and go a million percent in that direction. Not every door will open, but the right window will. The musicians that have truly inspired me have been Elton John, Stevie Wonder, Michael Jackson, Freddy Mercury and Otis Redding. I want people to feel good when they listen to my music. I want them to take away a feeling or emotion. It can be happy or sad, or something that triggers a memory of sometime in their life that made an impression. I want people to open their mind and be willing to get on the rollercoaster ride of life with me. Music is here on earth to lift peoples spirit and give them hope and joy. Whatever you are going through we can experience together through music. I would advise anyone getting into music not to give up their life right away to the industry. This industry can be a scary one. I would not paint it as a perfect place where you come out whole at the other end. We’ve all seen very famous, talented people live a miserable life in this industry. But what I would say, like anything in life, is know the risk and know how much work, blood, sweat, and tears you will have to sacrifice to get to your end goal. I don’t know anybody that says it’s easy. I would also recommend not to chase the money or fame because that won’t bring you the happiness or fulfillment after only doing something in life because you feel like you would be dead inside without it. There has to be this fire and drive inside yourself telling you that this is the only way. Only then would I recommend someone to follow their dream in music. It obviously depends on what the artist is chasing . If it’s posting songs on the internet for fun then you have no worries. If you are chasing a record deal, it’s a whole different story. Making music is fun and as long as you have your brain and heart in the right place then you’re ok . Don’t change for anyone. At the end of the day, just be yourself. I love my fans and I truly appreciate anyone who has supported me through the years. Please follow me on Instagram at @ashermonroe and look me up on Spotify. Thank you for having me ALL ACCESS!!! An Interview With The Rising Rock Band, SORAIA!